Canadian Dara Howell (center) took the gold, American Devin Logan (left) won the silver, and Canadian Kim Lamarre earned bronze. KRASNAYA POLYANA, Russia — Freeskier Devin Logan never doubted that her surgically repaired knee would be ready for the Olympics. Not even when doctors said the ripped-apart joint — torn ACL and MCL, plus two microfractures — was one of the worst they had seen. Not even when she was non-weight-bearing for two long months after her knee was reconstructed. Logan always saw herself competing on the slopestyle course at the Rosa Khutor Extreme Park. It was the silver medal in Tuesday’s final that came as a surprise and, initially, left her speechless. A few hours after the event, she was able to reflect on her first Olympic medal. Logan put together a strong first run in the finals, negotiating the rails with ease and going big on jumps. It was a performance that propelled her into first place with a score of 85.40. “The world is going to love our sport,” the Vermont native said of the debut of slopestyle skiing. That number stood up until Canada’s Dara Howell took the course as the round’s final skier and topped Logan with 94.20 points. On her second run, Logan knew she “had to pull out all the stops” to pass Howell. But that resulted in a run that was less clean and lower-scoring than the first. 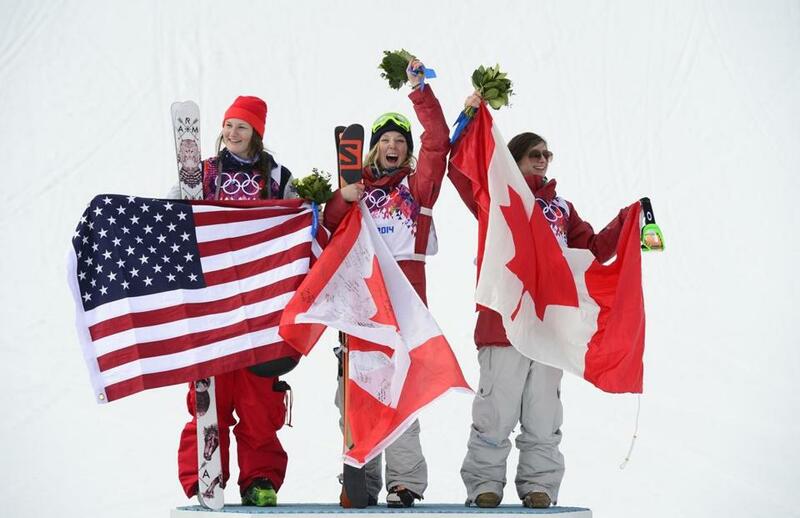 Howell took the gold, followed by Logan, and Canadian Kim Lamarre earned bronze in freeskiing’s Olympic debut. It wouldn’t be surprising to see all three medalists celebrating together in the mountains. While the US has always taken home a large medal haul from extreme sports, Canada has been impressive in snowboarding and freestyle skiing here. Canada has won seven medals, including podium placements in freeskiing slopestyle and men’s and women’s moguls. Logan was proud to add to the US medal count and cap her injury comeback with silver. After all, it wasn’t until early December — about 15 months after Logan left the operating table — that she regained confidence in performing her full repertoire of tricks. 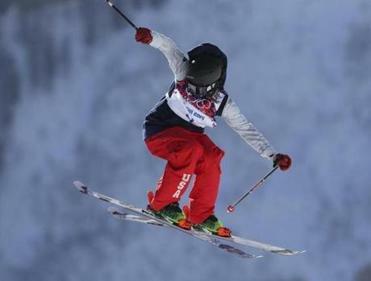 While she looked good in qualifying for the US team, the pressure of the Olympics plus a slopestyle course that became slushy in warm afternoon weather made the event final unpredictable. “We saw the conditions from this morning getting on snow and it was really fast and really icy, and then it went really hot, like spring snow, so you just had to adjust to it,” said Logan. “I just thought of it as another spring day skiing with my friends. Logan put other skiers’ crashes out of her mind and focused on her runs. She got into the zone in her own unique way, joking around and dancing at the top of the course. Logan’s mother Nancy was at the Extreme Park watching her daughter. It had been two years since Nancy has seen Logan compete. As owner of the Wilmington Candle Co. in Vermont, it is often difficult for Nancy to get away. Logan thanked her family — her father, two older brothers, and two older sisters — for a lifetime of support that started when she first skied at Mount Snow at 2 years old. Growing up in West Dover, Vt., in Mount Snow’s shadow, she began competing in various events at 6. “Once I finally moved up there [to Vermont], I was on snow every day and attending Mount Snow Academy,” said Logan. “Having to ski every day was a huge advantage. In four years, Logan hopes to be back at the Winter Games with a shot at medals in both slopestyle and halfpipe. She came up just short of making the halfpipe team for Sochi. Though she now has an Olympic silver medal, Logan made it clear that’s not what motivates her.